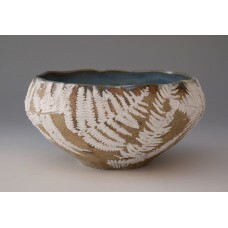 A bowl with clinging fronds of fern wrapping round the form. 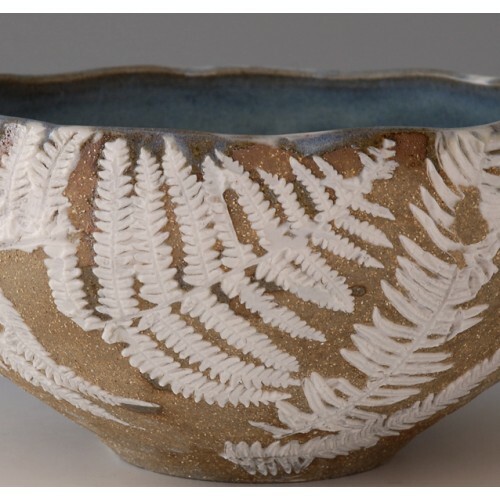 The body is stoneware, the fern relief in porcelain. 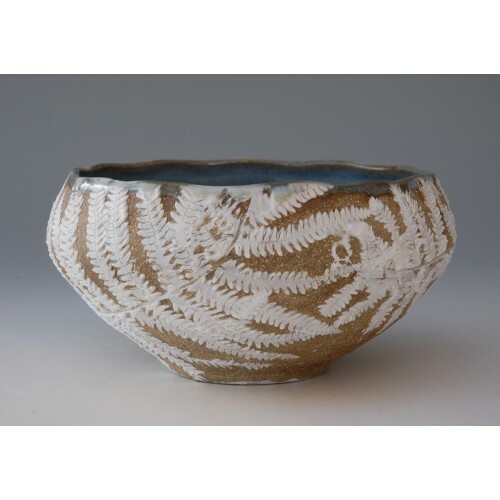 The interior of the bowl is glazed with a chun glaze.